Find Orlando FL Homes for Sale & Orlando Real Estate Listings. Search Orlando Florida MLS to view Home Prices, Pictures, Virtual Tours and Market Information. 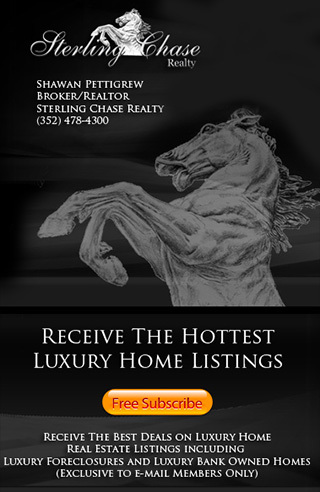 Sterling Chase Realty offers our clients the most complete source for Orlando Real Estate information. Here you can search all Orlando Houses, Townhomes, Condos, Luxury Homes and more. View Orlando Home prices, see pictures and virtual tours, map locations and find the best deals on Real Estate in the Greater Orlando area. Orlando features some of the best communities to live in; from the world famous Orlando Golf Communities such as Bay Hill to the most Luxurious living on Millionaires Row Orlando has it all. Since Orlando is also known as the Mecca center for Businesses, Shopping, Dining and Entertainment; It's no wonder that Orlando is one of the best Places to live in all of Central Florida.